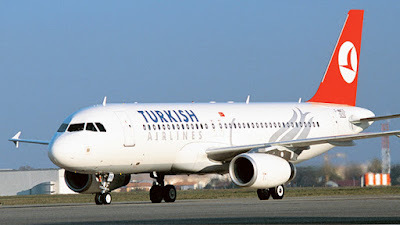 The General Manager, Turkish Airlines Lagos, Mr Yunus Ozbek while speaking with journalists during in a press conference recently said the airline would begin four times weekly flight from Port Harcourt to Istanbul in June connecting Port Harcourt to the rest of the world through Istanbul. According to him, Nigeria with its potential and growth prospects remains one of the airline’s most important destinations. “Nigeria is the biggest economy in Africa and Nigerians love to travel. Lagos and Abuja are among our biggest destinations in Africa despite the competition on these routes. Nigeria is growing and we want to be part of this growth,” he said. Ozbek stated that with the new route from Port Harcourt to Istanbul, Nigerian students from the region who wished to study abroad could also take advantage of its Students’ Discounted Fare programme. He stated that Turkish Airline has seen steady and significant passenger and cargo growth from 2005 till date. The airline, he said, has grown from a 14 million passenger per annum in 2005 to 78.5 million per annum in 2018 basing it on the airline’s drive for safety, customer satisfaction. He added that the airline has grown from 135,000 tonnes in 2005 to about one million tonnes in 2018, stating that Lagos houses its biggest cargo operations in the world with three cargo flights weekly. Commenting on products and services of the airline, he said its Business Class catering is the best in the world while the economy catering is number two. “We always try to keep the travel experience in the Business Class as the best. We have 350 movies in in-flight, we have free on board WI-FI apart from the flying Chef who prepares passengers’ meal on-board, this is why we have the best catering in the world. We have the corporate club, which offers benefits such as discount, incentives and excess baggage. We also have the Miles and Smiles where we reward frequent flyers and loyal customers. “Between 2011 and 2016, we won Europe’s best airline for 6 years in a row by SKYTRAX, our Lounge in Istanbul is bigger than some airports, the second one would be opened for passengers soon, airport hosted 68 million passengers in 2018, 46 million tourists visited Istanbul in 2018. The new airport, which is being constructed in for phases has capacity for 90 million passengers annually and would in few years increase to 200 million”, Asik submitted. He also hailed the upgade of Abuja airport, stating that the carriers now have a different flight experience using the newly inaugurated Abuja Airport Terminal, as opposed to the old terminal where its aircraft could not park near the aviobridge, forcing it to use a bus to convey passengers to the terminal building. The airline has also revealed plans to introduce student fare on the route by offering discount to passengers going to study abroad from the region.